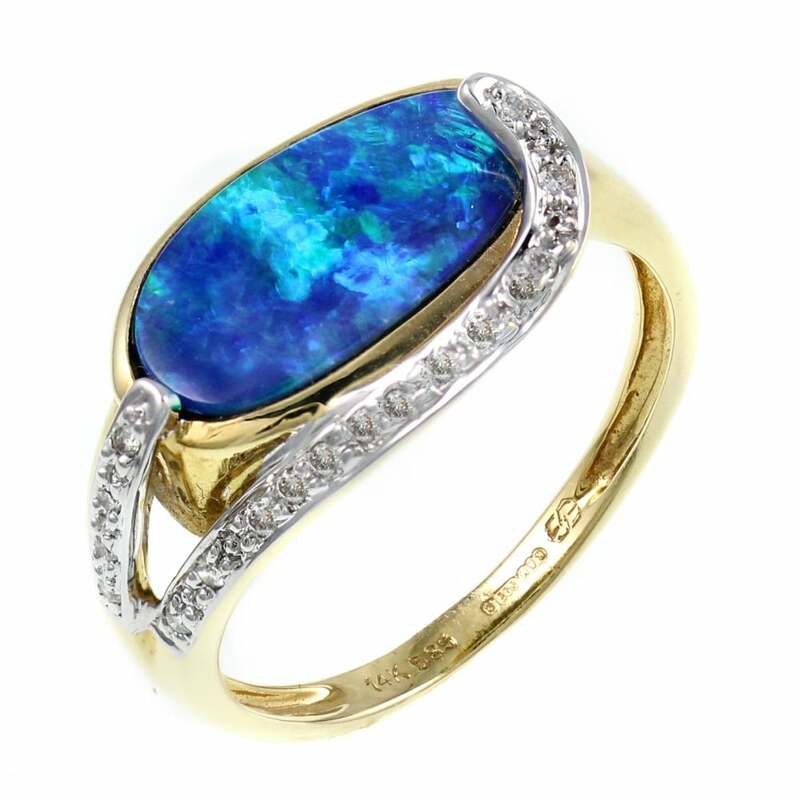 14ct yellow gold 2.33ct opal doublet & diamond ring. Diamonds in a pave setting. Split shoulder. Band width: 2.15mm. Ring size N 1/2. Can be sized if required.